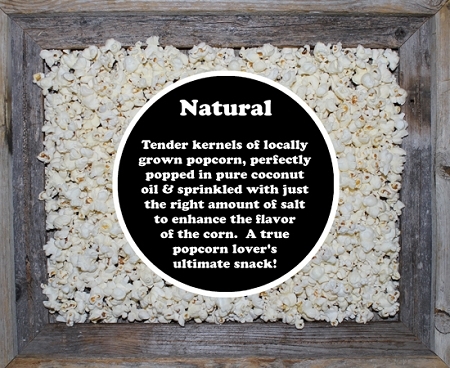 Locally grown, perfectly popped & sprinkled with just the right amount of salt. 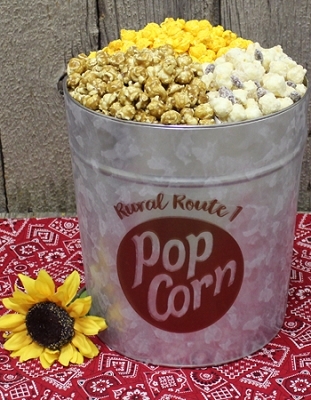 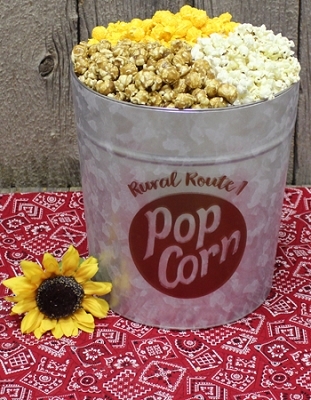 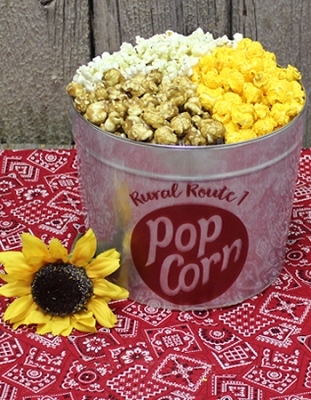 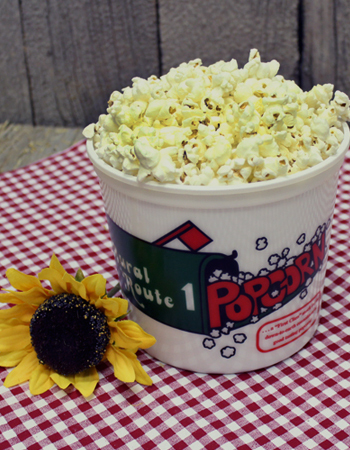 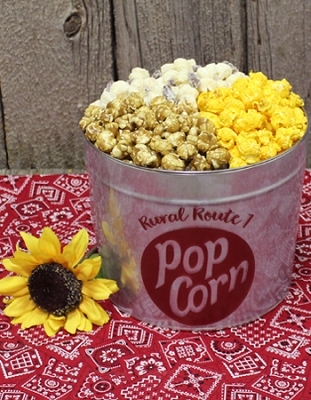 This Family Tub holds 22-24 cups of our delicious Natural popcorn! 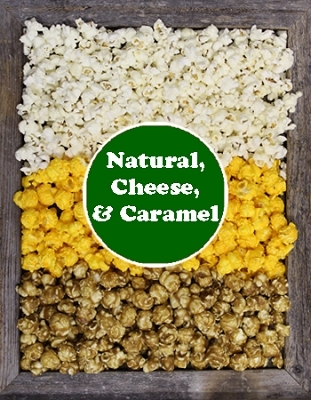 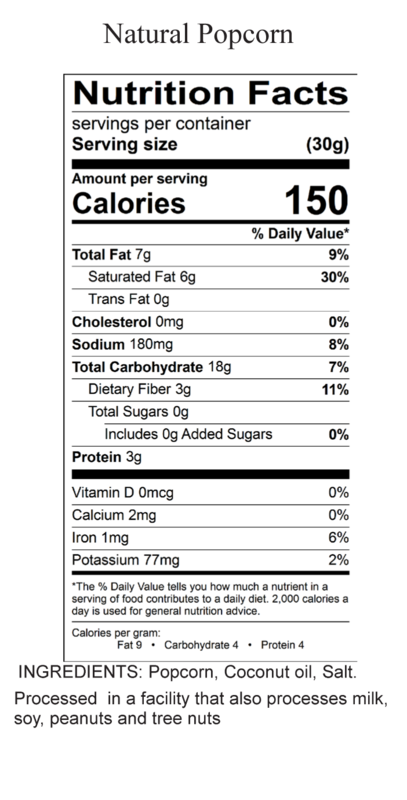 The healthy snacking choice!